I think I have mentioned in my last few posts that fall hasn't quite arrived yet in Charlotte. We have had some chilly mornings, but it is usually still in at least the 70s in the afternoon. Therefore, this trench I bought last year has been my best friend for those mornings. 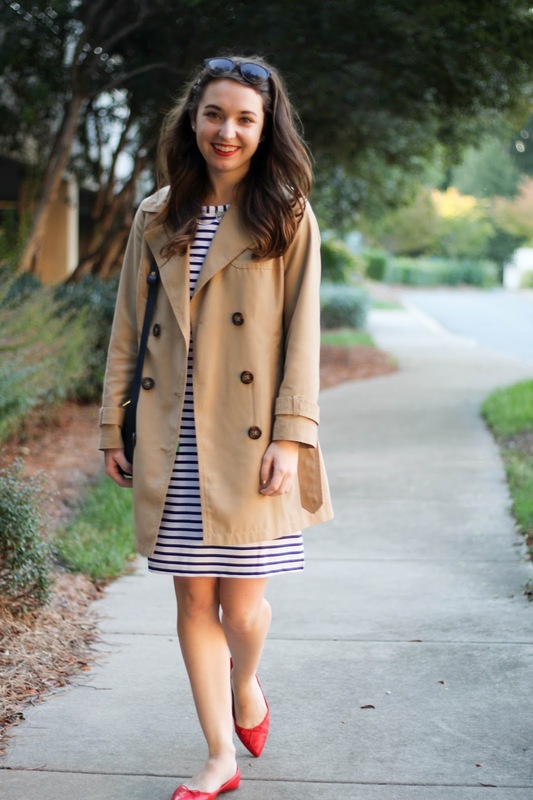 In this post, I have paired it with this stripe dress from Cabana Life, that has UPF 50+ sun protection. 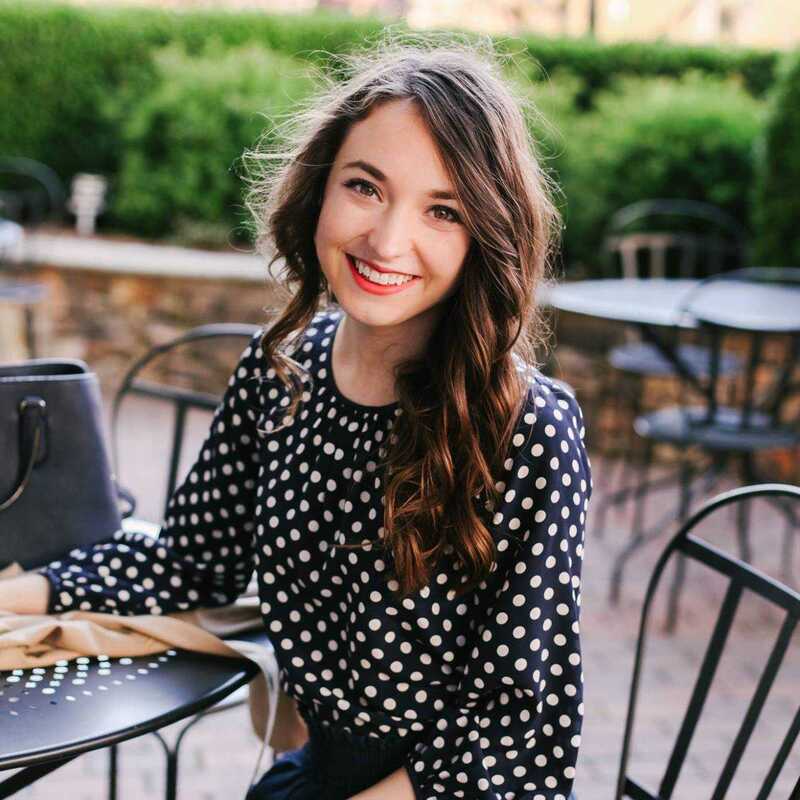 So not only is it great for the spring and summer, with some layers and fall-appropriate accessories, it is the best transition piece! I also love the cute little mint-colored accent pocket! 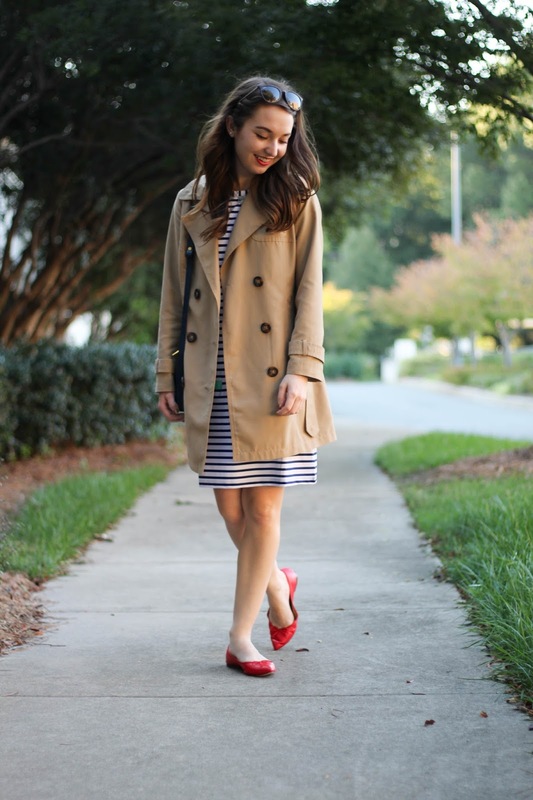 I love the pop of red in your flats! 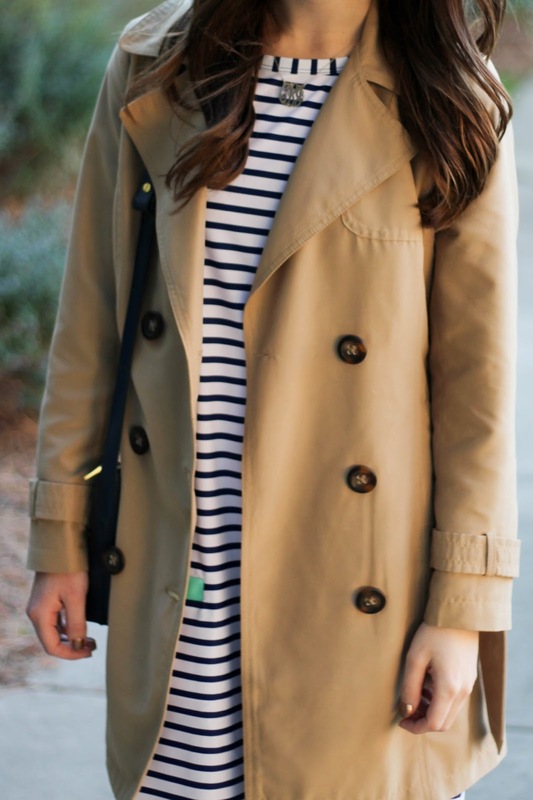 That trench is adorable, looks great on you!